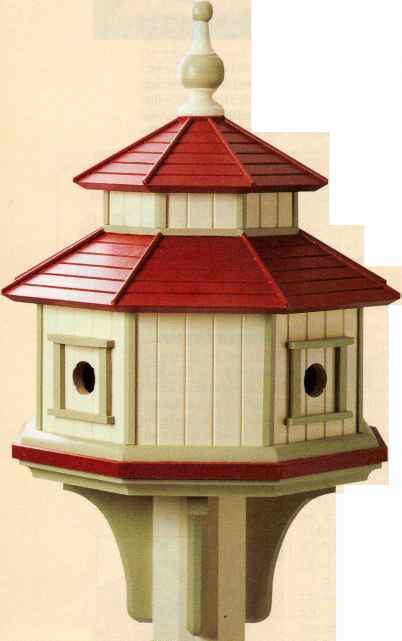 From the vertical siding to the pitched roof and detailed trim pieces, this eight-sided birdhouse has many of the features you'd expect to find on a real house. decker," see photo on opposite page. WOOD. Choosing the wood for an outdoor project is important If you're planning to use an outdoor oil finish, make sure to select a wood that has some resistance to decay, like cedar or redwood. But if you want to paint the birdhouse, as we did, you could also use Douglas fir. 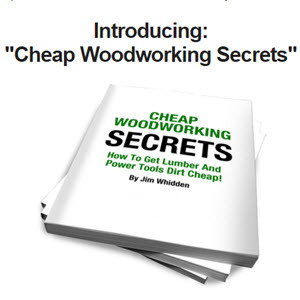 One wood that should really be avoided is pressure-treated (Wol-manized) lumber. Thafs because the chemicals used in the processing of pressure-treated lumber can often be harmful to birds. I was never a star pupil in geometry class. So when I first saw the plans for this eight-sided birdhouse, all I could do was wonder how I would ever calculate all the angles and lengths. 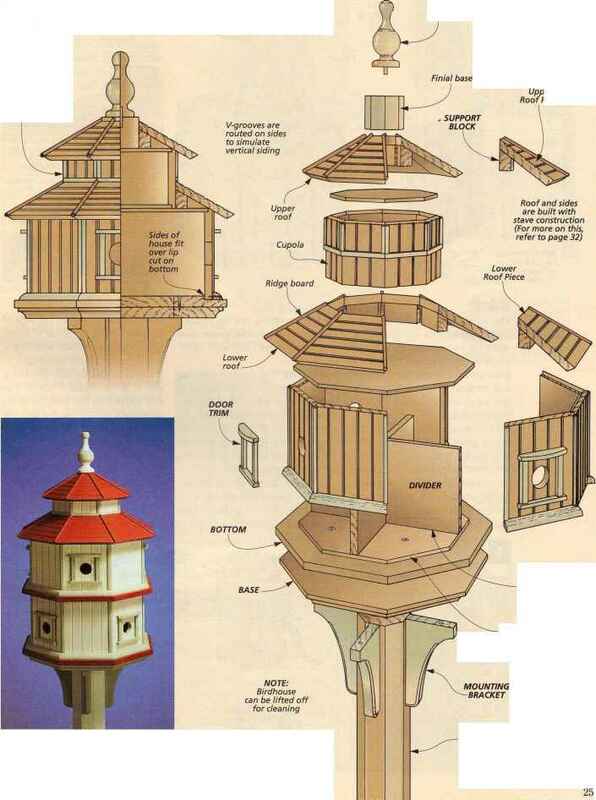 But Kevin, who designed the birdhouse, assured me it wouldn't be all that difficult As it turns out, he was right. Figuring out the angles for the octagonal roof and main body of the bird-house is pretty easy. (I found the information on a chart) The tricky part is fitting all the pieces together. To help you out, we've included a separate article on this type of joinery (known as "stave" construction). It starts on page 32. 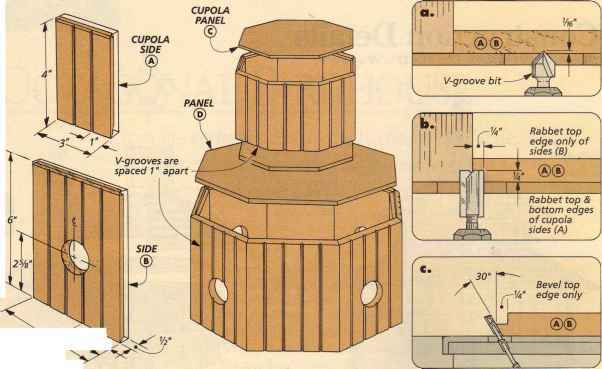 Post is made from 4x4 dimensional lumber a By building a second story, you can easily turn the birdhouse into a "double-decker," see page 31. Rabbets in bottom create a ledge for sides to sit in a By building a second story, you can easily turn the birdhouse into a "double-decker," see page 31.